SoftPlanet Update Manager is an ad supported program which is developed to earn online profit. You may get this program from various sources and often freeware and shareware bundle such ad-supported programs. This program employs software-bundling scheme and trade on this by spreading adware on targeted computers without user’s consent. Most of the users remain unaware of its installation as the code developers of such programs pack these malicious codes onto valid programs. 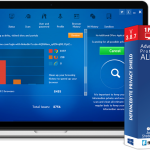 The key point of SoftPlanet Update Manager is to help you in downloading, installing, and updating any program. However, the aim of this adware is to make profit by showing ads on the victim’s machine once he/she uses it as browser extension. This ad-supported program may also alter settings on (Edge, Internet Explorer, Google Chrome, Firefox, and Safari) browsers. To load SoftPlanet Update Manager as browser helper object, it makes modifications on browser program. Under the influence of this program, your home page and start-up page will display unwanted search engine. Most often, users download such infections with the freeware they download off of the internet. Freeware and shareware that you install online bundles potentially unwanted programs like this. Moreover, these free programs do not adequately disclose the presence of bundled infection. Once you agree to install the main program, SoftPlanet Update Manager and the other programs bundled with it gets installed without your permission. The best way to avoid such infections is, select a Custom, Advanced or Manual installation mode. If you suspect that any suspicious program may get installed on along with the first place install, disable (uncheck) all those optional programs. Before downloading and installing suspicious software on your computer better to go through the End User License Agreements (EULA) and Terms of Agreement. Read the installation screen carefully. How to escape from installing potentially unwanted applications? Staying away from getting online infections is not that tough. You just need to follow a simple approach to prevent from falling for such infections. The very first thing that you need to take care of is, don’t rush while downloading and installing software. You need to analyze each step closely and always choose “Custom/Advanced” settings. The point you need to take care of is, decline all offers to download/install additional applications as well as cancel already included ones. Using comprehensive Anti-Malware software, you may avoid installing such Adware, Viruses and Potentially Unwanted Programs. 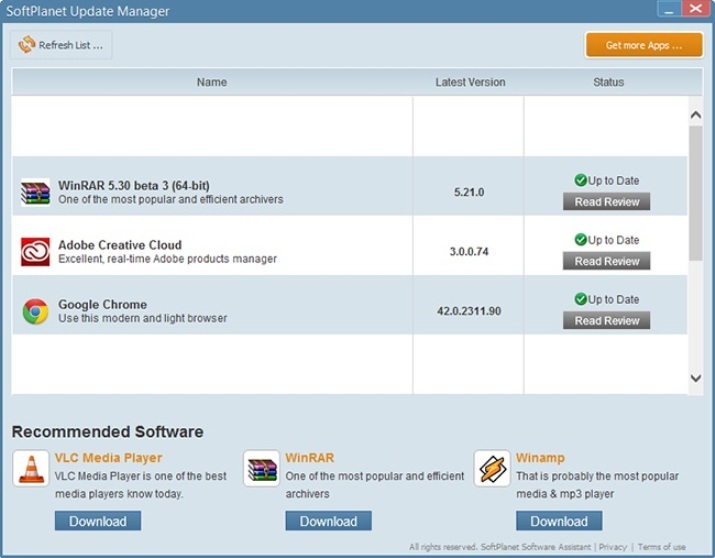 You can remove SoftPlanet Update Manager by simply disabling add-on, extension, or plug-in which has dropped by this browser hijacker on the PC. Do not allow this program settle on your computer. If you have installed it mistakenly, remove it right away. Below, all the steps are given to get rid of this adware. Follow the below given steps in exact manner to get rid of SoftPlanet Update Manager. You may be getting pop-up ads and advertisements as a result if you have installed this program mistakenly. To get rid of these problems, uninstall the culprit program first. Use options add/remove programs of Windows to uninstall SoftPlanet Update Manager. Click on Windows Start button and choose Control Panel from the list. Alternatively, press down Windows key + R key simultaneously on keyboard and type appwiz.cpl command in the search field and click on the OK button or hit the Enter key on keyboard. 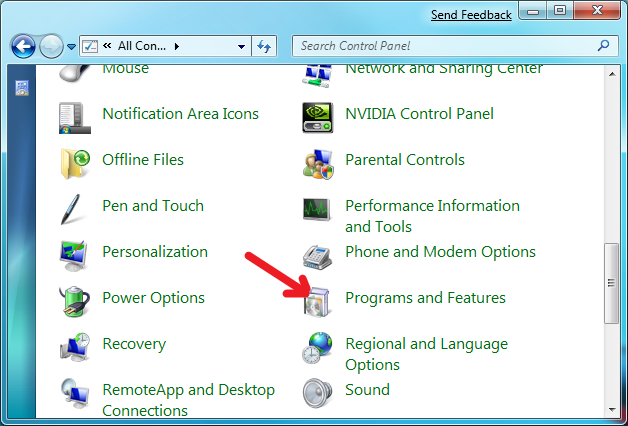 Look for the ‘Programs ‘area in the Control Panel window, and click on the Uninstall a program there. In the opened window, you will get a list of programs installed on your machine. Search for SoftPlanet Update Manager and remove it. If in case you don’t find the same program in the list of programs, search for any suspicious labels which are installed recently. Right click on the relevant program and then click on the option Uninstall to remove it. Before downloading the defencebyte AV Pro, make sure that you have chosen the right version for your Windows computer. Now, download and install the defencebyte AV Pro on your device. Windows will prompt you about download once it is completed. Click on Run button to run the program or browse the location of the folder by double clicking on the file defencebyteAVPro_.exe. To carry on the remaining process, accept the license terms and follow onscreen instructions. To find plug-ins, add-ons, harmful programs, and other malicious entities linked to SoftPlanet Update Manager, run a scan on your machine. Reboot your machine for everything to take effect as soon as scan and removal process gets completed. If you are dealing with SoftPlanet Update Manager and other stubborn infections, clean your internet browser from clutter and unwanted add-on/extension and Toolbar. Resetting your browser to its default state is another way of getting rid of this infection. Follow the procedure given below to reset various browsers to their default state. Type the string: chrome://settings/ in the address bar and then, press the Enter key on keyboard. Scroll down the page until you see the option Show advanced settings… and then click on it. Scroll to down to the bottom until you see Reset Settings section. In that section, click on the Reset Settings button. Click on Reset button to proceed, when prompts for confirmation. Resetting Google Chrome Settings will reset your home page, search engine, new tab page, and other areas affected by SoftPlanet Update Manager. This function will not affect your bookmarks, history, and other saved data while removing unwanted extensions from the browser. Open Internet Explorer and explore its top menu. In the top Menu, click on Tools, and then Internet Options. Click on Advanced tab on Internet Options window. On the lower part of the window, under Reset Internet Explorer Settings area, click on the Reset button. This function will not remove data like favourites, bookmark, and history. However, data like add-ons by SoftPlanet Update Manager and other unknown/unwanted objects may be deleted. Resetting Mozilla Firefox Setting to remove unwanted extension from Firefox related to SoftPlanet Update Manager and other adware or infectious programs. Restoring Firefox to factory settings may fix many browser issues without affecting your essential information like browsing history, passwords, bookmarks, and Internet cookies on the browser. Open the Mozilla Firefox browser and navigate Firefox menu at the top of the browser. In the main menu, click on the Help area (question mark on the bottom of the top menu). It will open a new window; there click on option Troubleshooting Information. Now a new tab will open where on the upper-right corner of the screen, you will find a section stating Refresh Firefox to its default state. Click on the Refresh Firefox button. Click on Refresh Firefox button to continue, when confirmation window comes up. Now the Firefox browser will be closed and start the refreshing process. Once the refreshing process is done, you will see a list of restored data. By now, SoftPlanet Update Manager should have gone from your browser and you can now open a fresh version of Firefox by clicking on Finish button.